Is The Vegetarian Diet The Healthiest Way To Eat? A vegetarian diet has been proved to be the healthiest way to consume all essential nutrients without having to worry about the side effects of meat intake. To define broadly, a vegetarian diet is one that contains no meat, poultry, or fish. Vegetarians generally consume fruits, vegetables, grains, nuts and legumes, and avoid the consumption of meat and seafood for the purpose of staying healthy. A vegetarian diet has been proved to be the healthiest way to consume all essential nutrients without having to worry about the side effects of meat intake. How is the vegetarian diet the healthiest way to eat? This is due to the fact that a typical vegetarian diet is usually low in fat and carbohydrates, but rich in fiber and proteins that help keep our immune system strong and our body healthy. A typical non-vegetarian diet is rich in carbohydrates (and may be fat) that increase calories and cholesterol in the body, leading to weight gain and chances of various lifestyle disorders. A research paper published by T. Colin Campbell of Cornell University suggests how vegetarian foods are a better source of major nutritional factors than non-vegetarian meal options. Apart from being simple and easy to prepare, the vegetarian diet contains variety of nutrients such as Vitamin B12 and D, Omega 3-fats, proteins, Calcium and Iodine in more amounts than the meal options found in a non-vegetarian diet. Why may the vegetarian diet be considered as the better way to eat? According to a scientific paper submitted in the Journal of the American Dietetic Association in July 2009, some essential nutrients that are required for proper growth and development of body can only be provided in appropriate quantities in a wholly vegetarian diet. It was evaluated that the amino acid profile found in plant food was more substantial and filling than non-vegetarian food. Eating a vegetarian diet comprising of whole grains, beans, tofu, airy products and nuts, can provide you with 10% more amino acids and proteins than the amount found in non-vegetarian meal options. The American Dietetic Association recommends that adults ranging from 18-65 years old should consume vegetarian and dairy products to meet their calcium and iron needs on daily basis. Calcium and iron is found majorly in plant foods, like leafy vegetables, beans, seeds, as well as fortified juices. The amount of calcium and iron present in plant foods is more than what is generally found in non-vegetarian food making it a healthier meal option for people of all ages. To meet the recommended vitamin D and vitamin B12 needs of children as well as adults, a vegetarian diet can be perfect. Plant food is rich in vitamins, especially vitamins K, B12 and D, which are found lacking in a majority of non-vegetarian diet options. It has been suggested to take at least 200 IUs of vitamins each day for healthy growth and development, which is available easily in a vegetarian diet as compared to a non-vegetarian diet. A vegetarian diet is a rich source of various essential nutrients that are required by our body to heal and grow on daily basis, which many a non-vegetarian diet fails to provide. 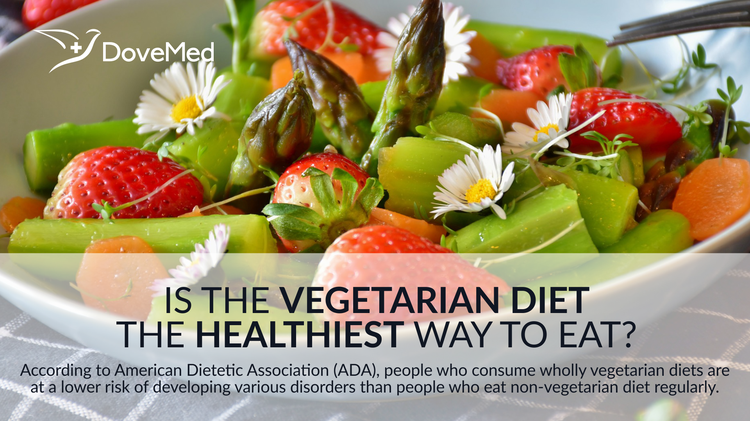 Hence, all scientific evidences suggest that a vegetarian diet is a healthier way to eat. Key, T. J., Davey, G. K., & Appleby, P. N. (1999). Health benefits of a vegetarian diet. Proceedings of the Nutrition Society, 58(2), 271-275. Weaver, C. M., & Plawecki, K. L. (1994). Dietary calcium: adequacy of a vegetarian diet. The American journal of clinical nutrition, 59(5), 1238S-1241S. Hert, S. G. (2010). Vegetarian Diet and Health. Epidemiology. Borrione, P., Grasso, L., Quaranta, F., & Parisi, A. (2009). Vegetarian diet and athletes. Sport-und Präventivmedizin, 39(1), 20-24.